Euro has formed two ascending impulses and right now is correcting the second one. We think, today the price may form the third impulse. The target of this wave is at 1.2715. Later, in our opinion, the market may fall towards level of 1.2590. After such pattern, we’ll estimate if it may continue growing. The next target is at 1.2900. 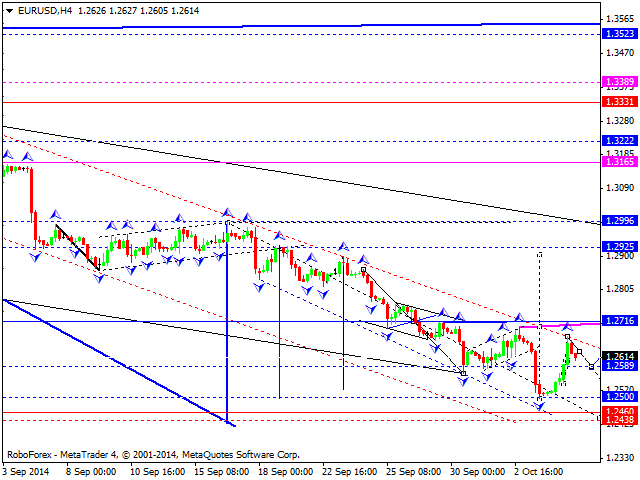 An alternative scenario suggests that the price may continue falling to reach a new low and level of 1.2460. Pound is moving upwards and forming ascending impulses; by now, the pair has formed two impulses and right now is correction the second one. 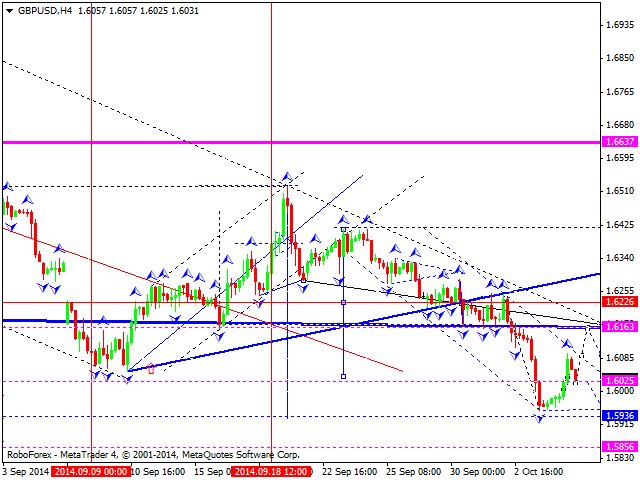 We think, today the price may form the third impulse to return to level of 1.6165 and then fall towards 1.6025. After such structure, we’ll estimate if the market has a potential to continue moving upwards to reach the next target at level of 1.6400. An alternative scenario suggests that the price may continue falling to reach a new low and level of 1.5940. Franc continues moving inside a descending structure; the pair has already completed two impulses and right now is correcting the second one. We think, today the price may form the third impulse to reach the target of this wave at level of 0.9530 and then return to 0.9600. 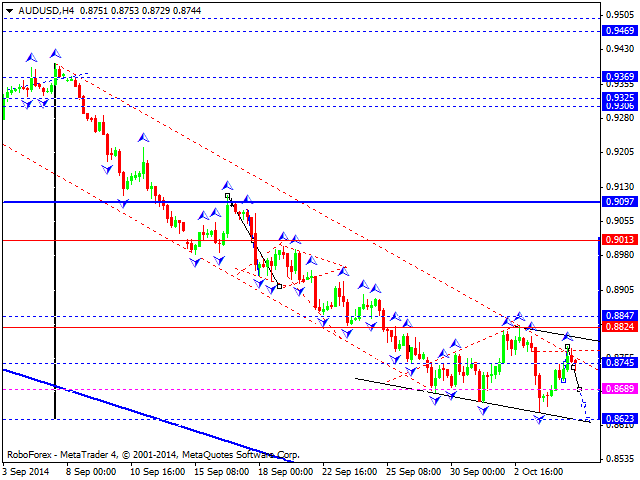 Later, in our opinion, the market may continue forming a descending wave with the next target at 0.9360. 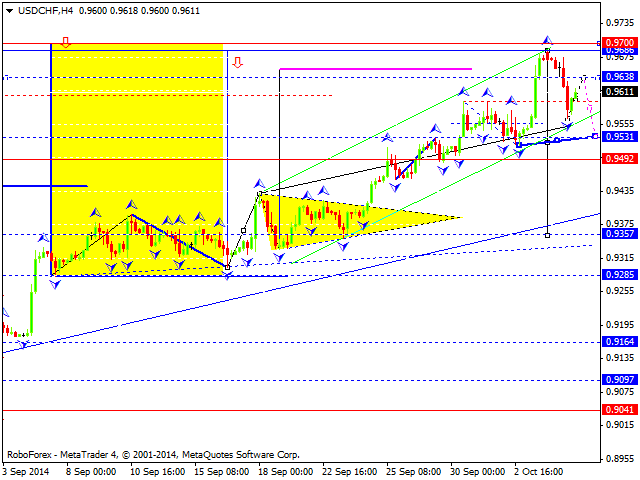 An alternative scenario suggests that the price may reach a new high and level of 0.9700. Yen is still moving inside a wide consolidation channel. 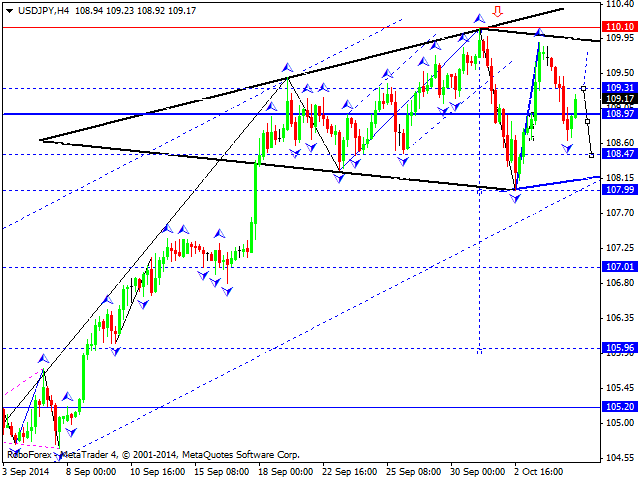 We think, today the price may reach level of 109.30, fall towards level of 108.47, and then return to 109.50. Thus, the pair is forming rhomb(diamond) pattern. The main scenario implies that the market is expected to fall to break its consolidation downwards. The target is at level of 106.00. Australian Dollar has formed an ascending impulse and right now is correcting it. We think, today the price may reach level of 0.8690. Later, in our opinion, the market may grow to break 0.8825 and then continue moving upwards as a correction towards 0.9000. An alternative scenario suggests that the price may reach a new low and level of 0.8623. Ruble has completed a descending structure at level of 39.55. 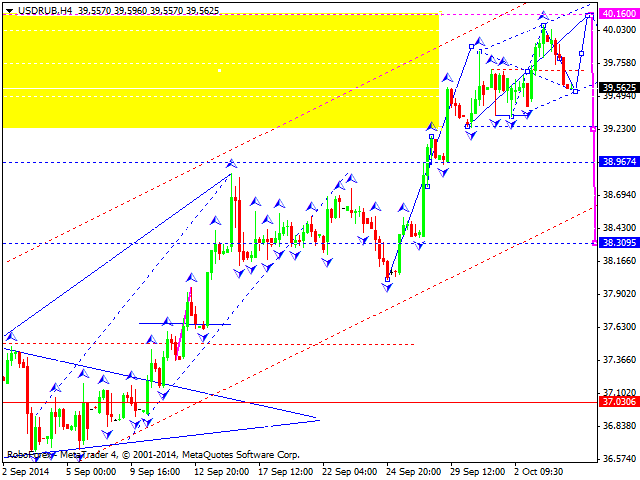 We think, today the price may finish this wave by forming another ascending structure towards 40.16. Later, in our opinion, the market may start falling to break the minimum of this wave and continue moving inside a descending correction with the target at level of 34.00. 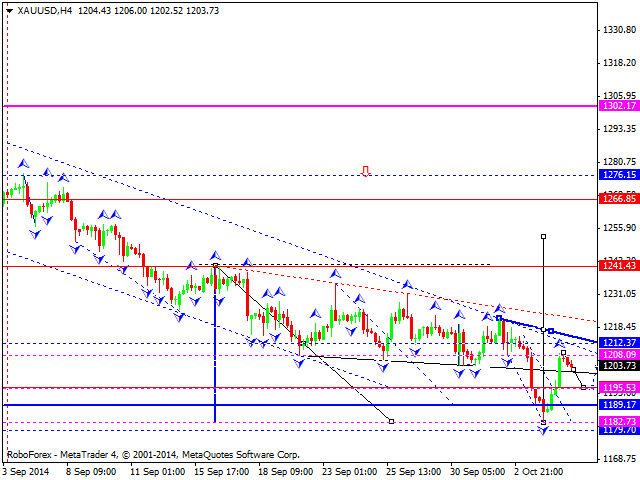 Gold has reached its minimum upside target. We think, today the price may return to level of 1195 and then form another ascending structure to break level of 1210 and continue growing to reach level of 1250. An alternative scenario suggests that the price may fall to reach a new low.